Hunter Crane (BS 11), head coach for the Oxford Chargers’ girls soccer team, is gaining a reputation as one of the best soccer coaches in the state of Mississippi. 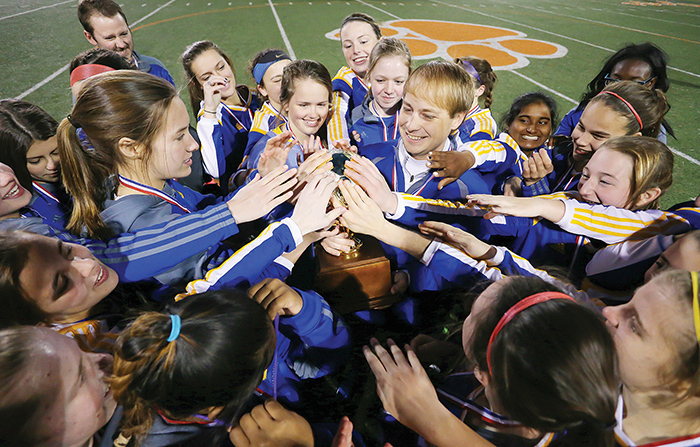 In fact, he was selected as the 2017 Mississippi Association of Coaches’ Girls’ Soccer Coach of the Year and since then the recognitions have only been accumulating. Still, Crane insists the Chargers have always had talent. “When I got to Oxford, I realized very quickly that our girls’ soccer program is very talented and that if the opportunity ever became available, that [program] was what I wanted to coach,” Crane said. For those who have been keeping up with the Chargers’ soccer program since Crane took over in 2015, this recognition may not come as a surprise. Under his leadership, the team went undefeated for the first time in program history during the 2016-17 season. The team has also been to a 5A State Championship and two 2-5A District Championships under his coaching. While a high intensity work rate is, indeed, important to Crane, he says the most important aspect of his coaching philosophy is something he learned during his years at Ole Miss. It was the university’s women’s soccer coach, Matthew Mott, who helped Crane make his career decision. According to Crane, Coach Mott taught him that the most important thing a coach can do is build relationships. Last year, this family atmosphere became vital for Crane and his players after a series of unexpected tragedies forced them to come together and stay together very early in the season. According to Crane, this year held more challenges for the Lady Chargers, and the team was determined to meet them head on. Competition is important but, in the end, it is not about winning for Crane. Ultimately, he wants his program to impact his players in a positive way. Even after all he has accomplished as a coach, Crane says he could not have achieved any of this recognition without his players and the Oxford community. 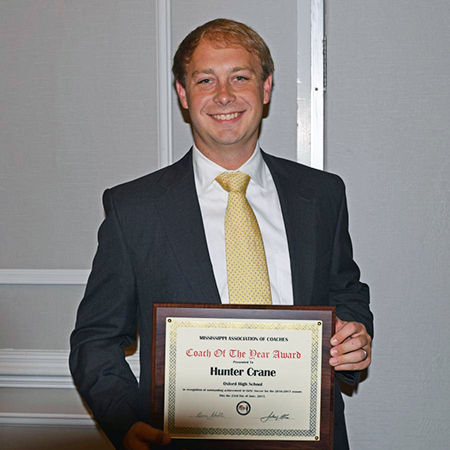 Hunter Crane is an active member of the Ole Miss Alumni Association. Hunter, Ole Miss thanks you.